Mikayla had her first visit with Santa today. Mike and I aren’t big on the whole Santa thing, we have no plans to teach Mikayla about Santa. But, when “Santa” is our friend’s dad she’s bound to see him from time to time. Plus, its really cute and lots of fun. We weren’t sure how she’d react. Santa is a scary looking dude…all that hair and fur…and why is he wearing that funny hat? 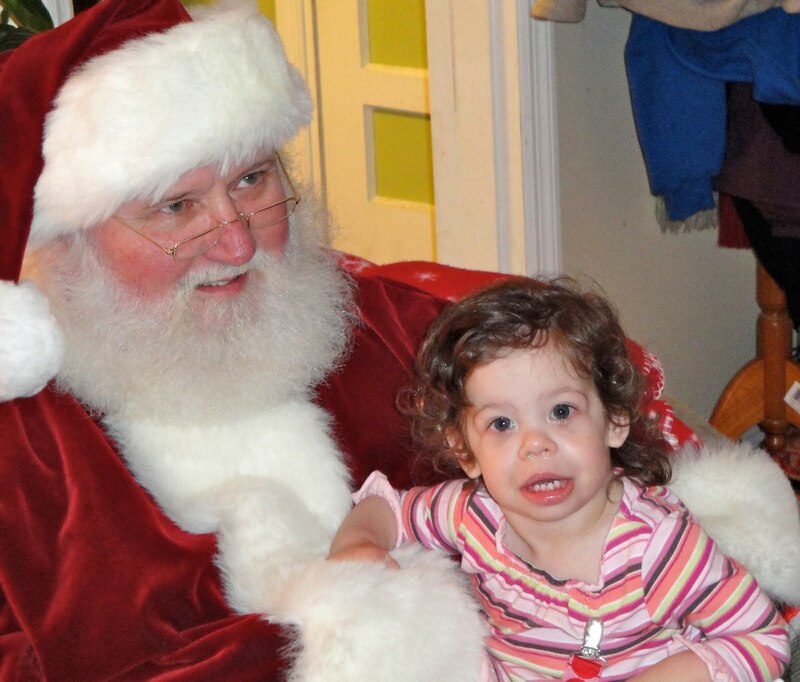 Most kids her age scream and kick when they meet Santa for the first time. 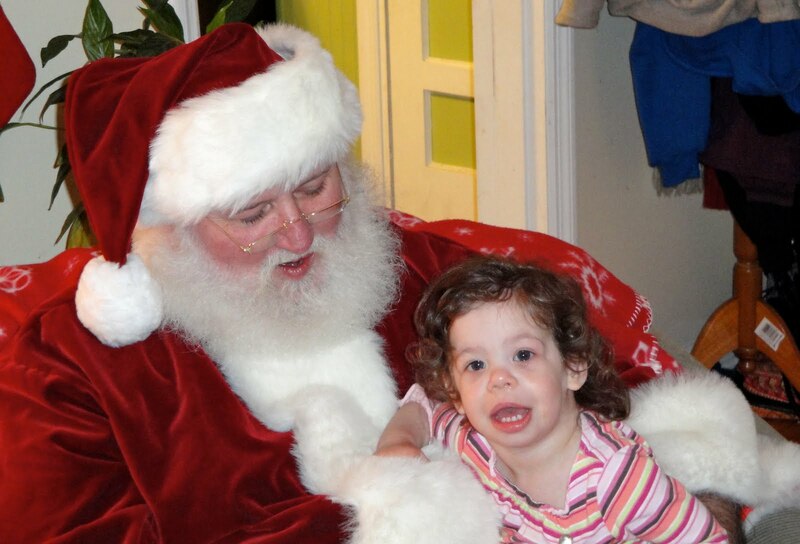 Mikayla proved once again that she knows no strangers…not even Santa. She said “hi” and went right to him. Zach and April – thanks for inviting Santa to come visit us tonight! It was lots of fun. 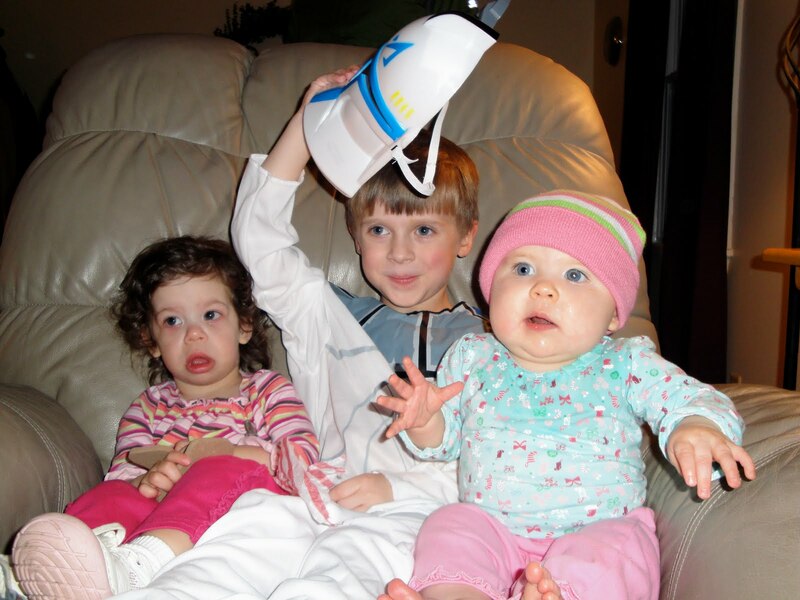 Mikayla and her friends Ellie and Noah exchanged Christmas presents. We tried to get a picture of the three of them and this is as close as we could get to all of them looking in the same direction. Noah was a trooper (no pun intended) letting these girls climb all over him so mamas could take pictures. We had lots of fun. Thanks Wyatts and Grubbs for a fun evening!